The city of Beirut reaches to the sea as a concrete island of a triangular shape, bordered by the mountains on one side and the sea on the two other ones. In such dense environment, public open spaces are rare, and the creation of new ones is threatened by an aggressive real estate speculation. 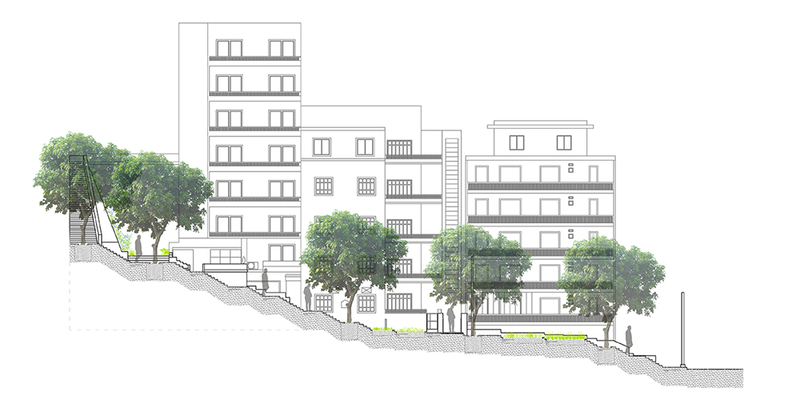 Interstitial urban space is thus seen as an opportunity. 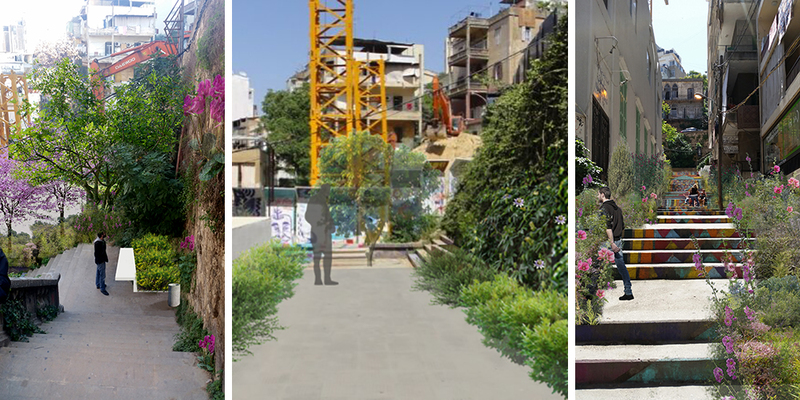 Given that Beirut offers less than 1m2/person of green open space, while the WHO recommends at least 9m2/person, our aim is to allow for nature to take over wherever possible. 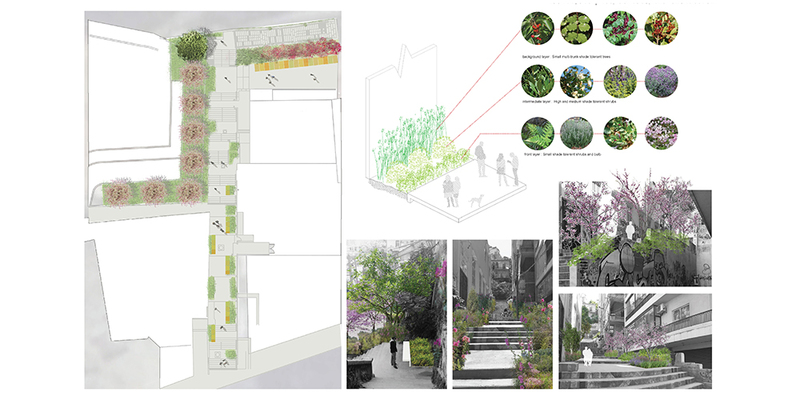 In this concrete jungle any reclaimed residual space can become a haven for its residents and users. We chose to work on the Massaad Stairs. Two important aspects are leading the project: the need to upgrade the overall infrastructure, and the importance of allowing nature to take over. 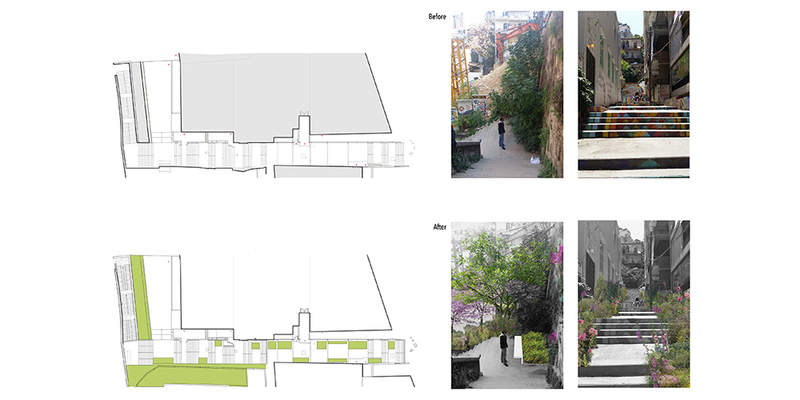 We propose to restore the stairs and at the same break the present concrete to create more green spaces. 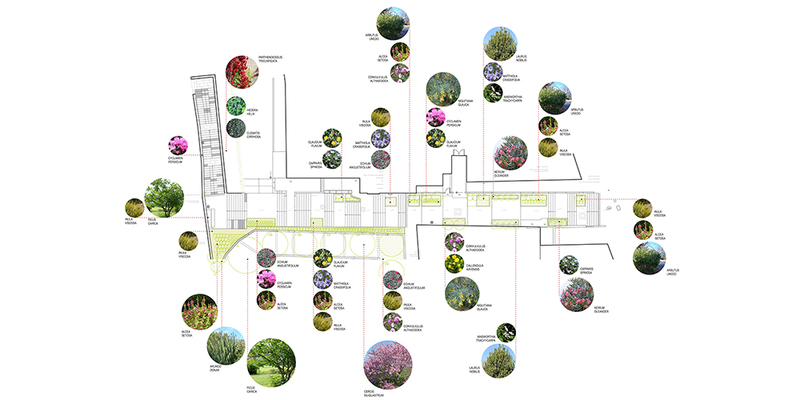 Native and adapted species are capable of taking over these spaces and transforming them into a free green area that requires little maintenance and no irrigation. We will encourage the implementation of native species and will monitor their development and selection. An initial period of irrigation is necessary, following that the plants will require no irrigation at all since they are rain fed.